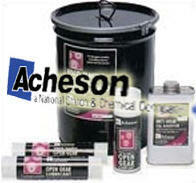 We have vast knowledge and expertise in lubrication for an array of applications. Our team are trained in providing lubrication solutions for any problem using a range of high quality and performance lubrication products. Taskers manufacture a leading product designed for dry lubrication of wheel flanges, Lube Sticks, which can be additionally supplied with an effective application system. We supply high performance TRI-FLOW Industrial Lubricant derived from a technological breakthrough which fixes Teflon (PTFE) through the use of a special carrier to a surface by direct application where no special preparation or process is needed.